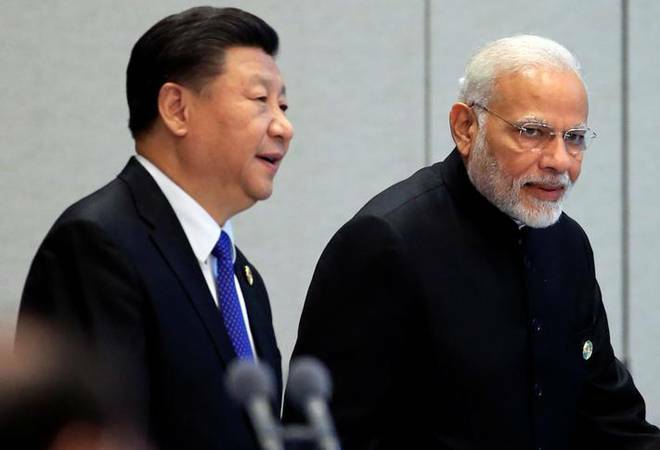 India remained ahead of China to retain the tag world’s fastest growing large economy withstanding several ups and downs, the spike in oil prices and global trade war like situation during 2018. Indian economy’s roller-coaster ride during the year gone by was best captured by the GDP growth. In the first quarter of 2018-19 ending June 30, it grew at an impressive 8.2 per cent, after 7.7 per cent in the first three months of the year. Then it slipped to 7.1 per cent in the next quarter ending September 30. Fitch Ratings slashed India’s GDP growth forecast to 7.2 per cent for the current fiscal, from 7.8 per cent projected in September, citing higher financing cost and reduced credit availability. According to Niti Aayog Vice-Chairman Rajiv Kumar, the focus of the government in 2019 will be to expedite reforms with a view to accelerating growth. “India will grow at around 7.8 per cent in the next calendar year and investment cycle that has already started picking-up will gather further strength and we will see more private investments,” Kumar said. Experts, however, expect that moderating growth can force the government to spend more before the next general elections and that could lead to fiscal pressures. Global factors such as sudden zoom in crude prices (which are now easing), strengthening US dollar, slowing growth in the wake of US-China trade war and the US Federal Reserve hiking interest rate for the fourth time in a year did take the toll on India’s economy. The banking sector ruled the headlines in 2018. The year opened with India’s biggest banking scam coming to light. On February 14, state-owned Punjab National Bank said it had detected Rs 11,400 crore scam where billionaire-jeweller Nirav Modi allegedly acquired fraudulent letters of undertaking from a branch in Mumbai to secure overseas credit from other Indian lenders. The case has gathered long political traction, with the government making little progress in bringing back the absconding accused. The year ended with a rare face-off between the Reserve Bank of India and the Central government. Urjit Patel’s resignation a few weeks later was seen as a culmination of the tussle in December. The main trigger was the government’s demand to relax restrictions on weak public-sector lenders, which slowed down credit growth. For the first time, the government threatened to use its special powers under Section 7 of the RBI Act. The cycle of events at the RBI brought to the fore concerns about the RBI’s autonomy. The RBI-government tussle sent shock waves far and wide. The country’s leading infrastructure finance company IL&FS defaulted on payments to lenders. It triggered panic among a large number of investors, banks and mutual funds associated with the company. The IL&FS defaults were even being seen as India’s Lehman Brothers moment that had triggered the global financial crisis in 2008. The government wanted the RBI to provide relief to non-banking finance companies impacted by the IL&FS defaults. However, the economy witnessed a big positive development the progress made under the Insolvency and Bankruptcy Code. Tasked with helping recover unpaid corporate loans, the National Company Law Tribunal (NCLT) has helped resolve insolvency and bankruptcy proceedings involving more than Rs 60,000 crore (during Apirl-September 2018-19), and the kitty is expected to swell beyond Rs 1 lakh crore in 2019 with several big-ticket default cases pending. A rapidly depreciating rupee and steeply rising petrol prices played havoc with India’s current account deficit (CAD). It widened to 2.9 per cent of the GDP in the second quarter of the fiscal compared to 1.1 per cent in the year-ago period, mainly due to a large trade deficit. “The widening of the current account deficit amidst tighter global financing conditions should put downward pressure on the currency, and we forecast the INR to weaken to 75 against the dollar by end-2019,” said rating agency Fitch in a report. Good news for the economy was India’s improved ranking on the World Bank’s ‘ease of doing business’ report for the second straight year, jumping 23 places to the 77th position on the back of reforms related to insolvency, taxation and other areas. Collection of the Goods and Services Tax (GST) crossed the Rs 1 lakh crore mark in October, after a gap of five months, but again slipped below the mark to Rs 97,637 crore in November. Yet, it was higher than the average monthly collection in the year. The steady increase in average collection raised hopes of the monthly collection to remain above Rs 1 lakh crore next year. Inflation has remained well below the forecasts by the RBI, which targets to keep inflation at 4 per cent in the medium term. During the April-October period, industrial output grew 5.6 per cent as compared to 2.5 per cent in the same period of the previous fiscal. In October, it stood at an 11-month high of 8.1 per cent. On inflation, Dun & Bradstreet in a report said: Going forward, there are concerns over fiscal slippage due to likely expenditure on pre-poll sops before the Lok Sabha elections next year. The Congress party’s promise of universal farm loan waiver, if it comes to power is likely to force the hand of the BJP government, which has so far stuck to fiscal prudence. Having witnessed controversy over the host of issues like demonetisation, implementation of GST and the government’s handling of banking sector woes, the year also witnessed political slugfest over revised GDP data, which showed that growth during the previous Congress-led UPA’s regime was less than what was estimated earlier. Recalibrating data of past years, using 2011-12 as the base year instead of 2004-05, the Central Statistics Office (CSO) lowered the country’s economic growth rate during the previous Congress-led UPA’s regime. Economists, including former chief economic advisor Arvind Subramanian, had questioned the involvement of the Niti Aayog in the release of GDP back series data and had also called for review by experts to clear doubts over the data.